The roots of Los Angeles band Maroon 5 lay in the late-1990s Weezer-influenced alt-rock outfit Kara's Flowers. After that group disbanded, the members eventually started a new band (along with a second guitarist). Rechristening themselves Maroon 5, they began to incorporate strong funk and R&B influences into their sound. The resultant debut album, 2002's SONGS ABOUT JANE, made them stars long after Kara's Flowers had been forgotten. A fitting musical description for the Los Angeles, California, USA-based quintet, Maroon 5, could be funky pop aimed directly at the mainstream market. The band's roots lay in an earlier group, Kara's Flowers, comprised of eventual Maroon 5 participants Adam Levine (b. 18 March 1979, Los Angeles, California, USA; vocals/guitar), Jesse Carmichael (b. 2 April 1979, Boulder, Colorado, USA; keyboards), Mickey Madden (b. Michael Madden, 13 May 1979, Austin, Texas, USA; bass), and Ryan Dusick (b. 19 September 1977, Los Angeles, California, USA; drums). Formed while its members were still students in high school, the band signed with Reprise Records, that resulted in the release of their debut, Fourth World, in 1997. Although produced by renowned hitmaker Rob Cavallo, the album flopped, which resulted in the band's split soon after being dropped by their label. Instead of immediately forming a new band, the former bandmates enlisted into college, Dusick and Madden staying local at UCLA, while Levine and Carmichael relocating to the east coast, to attend the State University of New York. It was while in New York that Levine and Carmichael began to take notice of the urban music sounds that would emerge from neighbouring dorm rooms, and let the style seep into the songs they soon began to write. Moving back to their home state, all four former Kara's Flowers members reunited, along with newcomer James Valentine (b. 5 October 1978, Lincoln, Nebraska, USA) serving as second guitarist. The quintet felt that a new musical direction called for a brand new name - Maroon 5. An affiliate of J Records, Octone, soon swept in and signed the renamed band, as they entered the recording studio in 2001 with another acclaimed producer Matt Wallace. The results of the sessions appeared on the band's 2002 release, Songs About Jane, which spawned the transatlantic hit singles "Harder To Breathe", "This Love" and "She Will Be Loved", and was supported by tours opening for John Mayer, Sheryl Crow, Jason Mraz, and Counting Crows. By 2004 the album had notched up platinum sales throughout the world, making it arguably the sleeper hit of the new millennium. The following year the band was awarded the Grammy for Best New Artist. The album that many of you have been waiting for is here! 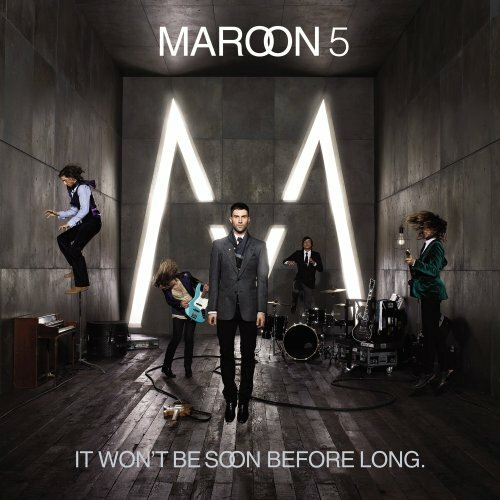 Maroon 5 is back with thier long awaited second album. They had HUGE success with thier debut "Songs About Jane" which I truly love and should continue to have with this album. I have to say I'm loving this album, I've listend to the whole album and every song is great. They changed it up a bit ,but still keeping it true to thier sound. This inventive, funky sound is just what Maroon 5 needed to keep us fan's interested. This is most deff a album to pick up. So check it out! !